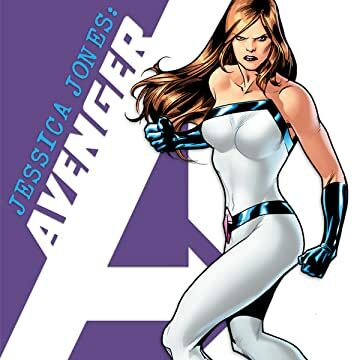 Collects New Avengers (2005) #38, 47; New Avengers Annual (2006) #3; New Avengers (2010) #8, 31; What If Jessica Jones Had Joined the Avengers? ; Netflix Jessica Jones Comic; material from Amazing Spider-Man (1963) #601, Marvel 75th Anniversary Celebration #1. 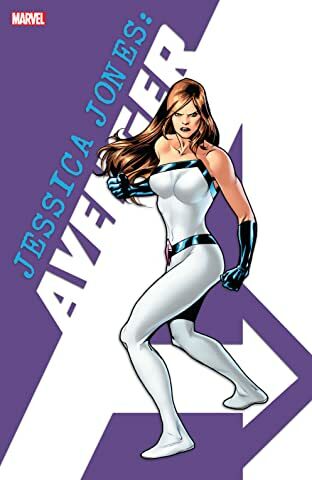 You've binge-watched her hit series, now binge-read Jessica Jones' greatest Avengers adventures — including every post-ALIAS/PULSE collaboration by her creators, Brian Michael Bendis and Michael Gaydos! As the Skrulls' SECRET INVASION rages, Jessica makes a fateful decision that may wreck her marriage to Luke Cage! But when Norman Osborn captures Hawkeye, Jessica will step up — and Jewel will fly again! Then, uncover Jessica and Luke's first case together as Doom crashes their dinner date! But as Jessica weighs her biggest responsibility — her daughter, Danielle — will Alias Investigations reopen its doors? Plus: advice from Spider-Man, and an alternate take on Jessica's life!